“Open Science” is the umbrella term used to describe the practice of science where others can collaborate and contribute, whilst sharing outputs, resources, methods and tools at any stage of the research process. 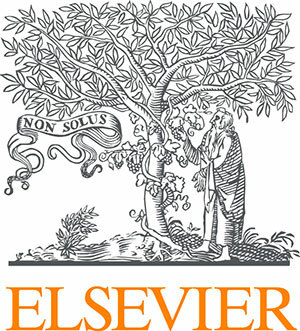 It encompasses several broad themes, such as open access and open data, as well as research metrics, research integrity, and citizen science. Open Science is developing across all regions of the world, but at difference paces. As STM celebrates the milestone of its 50th Anniversary, this special seminar will look forward to the next 50 years of Open Science and provide insights on the Japanese perspective. With publishers sitting at the interface between researchers, their research and the rest of the world, they are well placed to both contribute to, and lead the continued global discussions around Open Science. Through cross-industry collaboration and expertise across technology and innovation, publishers can help translate the aspirations of Open Science into reality. Michael has worked in scholarly publishing since 1980 and has worked in various publishing, research and communications management roles for the BSI, Pergamon and Elsevier before joining STM. Kazuhiro has worked in Scholarly publishing and communication since 1995. He joined NISTEP in 2012 and his current focus is on policy implication of open science and open access, while developing a new way to foresight science and technology trends. Eric has been VP, Communications & External Affairs at De Gruyter for the past two years, having working within publishing (at both Springer Science+ Business Media and Elsevier) since 2002. Lyndsey is leading a rapidly expanding team spread across the region and is responsible for the growth and development of a dynamic and multidisciplinary APAC journal portfolio.